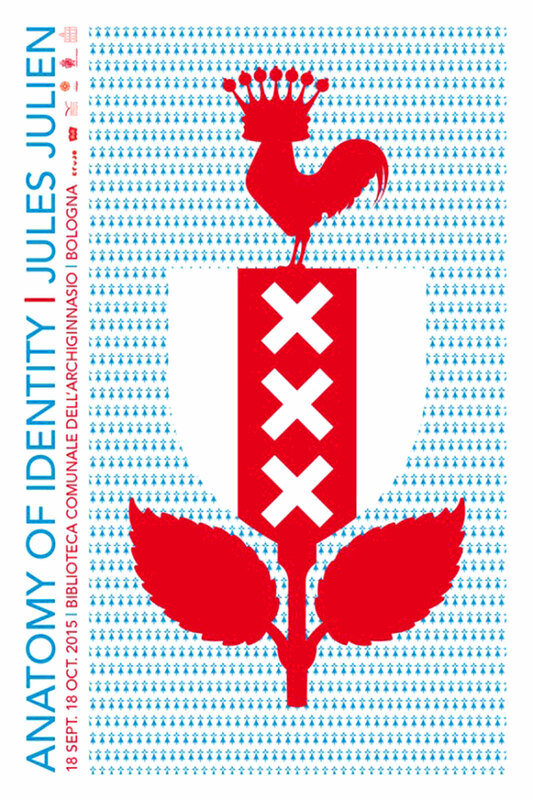 A series of 130 heraldic symbols, Anatomy of Identity is Jules Julien’s creative reflection upon French society and politics. The artist reduces the colour pallet to a purely vibrant one, using these ancient symbols to explore the relationship between national identity and a globalized modern society. These colourful compositions displayed in the Ancient building of Biblioteca dell’Archiginnasio in Bologna create a beautiful contrast between the old and the new, a continuation of Jules Julien’s study of the juxtaposing aspects of life. 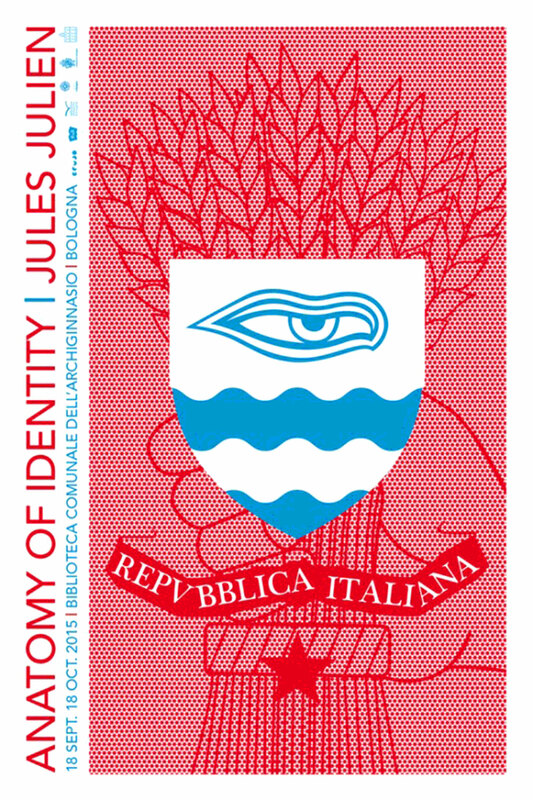 Anatomy of Identity will be on display at the Biblioteca dell’Archiginnasio in Bologna, Italy, from September 18th to October 18th 2015. Jules Julien is a French artist and illustrator who now lives and works in Amsterdam. Swinging between Eros and Thanatos, his work has much variety, but the common link is a strong idea, executed with clarity. Clients include: Cartier, Diesel Japan, Laurence King Publishing, SNCF, Sony Playstation, Cartoon Network, Acer, Keds, Grazia and Shanghai Creative Directory. See more of Jules’s work here.